For a home, curb appeal is an important aspect. All of us want a home that looks attractive from the outside. Curb appeal can be enhanced in several ways. However, one of the best options is plantation window blinds. They offer several benefits as compared to the other traditional alternatives available in the market. Take a look at some of the ways to add that charismatic charm to you home sweet home. One of the best features of these window blinds is that they can be customized to suit different needs. You can get them in a variety of finishes. Therefore, you can ensure that they complement the design and color of the home. It is suitable for all kinds of windows as they will be custom-made in all cases. Irrespective of the type of the home you have, modern, old or classic, you can get customized window blinds to complement its appeal. The plantation variety of window blinds is a practical investment as they help in improving the overall property value. They achieve this by adding beauty of to the windows. If you have drab or hideous windows such as the ones made from PVC, a window blind can cover them up. More importantly, window blinds are permanent. Therefore, the unattractive windows will remain hidden by the more alluring window blinds. Also, it increases aesthetic as well as the property value. Plantation window blinds do not require a lot of maintenance as compared to other varieties of window coverings. This level of practicality is certainly attractive to potential homeowners. Moreover, it keep the element of curb appeal intact with minimum efforts. These shutters tend to prevent dust accumulation. As a result, you simply need to wipe them for cleaning. In fact, with little cleaning, these appear squeaky clean and more attractive. Just hail around the market to find the product and you will be amazed to find a plethora of variety. It will not be too difficult for you to find the right set of window blinds to complement the surrounding aesthetics and design. 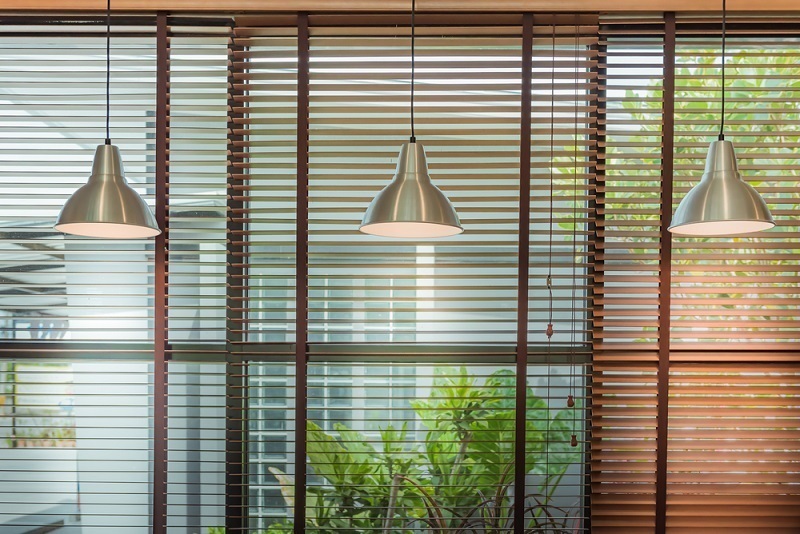 For a more natural look, you can opt for wooden window blinds. Alternatively, you can go for a colorful approach. This is suitable when you have painted the outside walls of your home in a colorful manner. There are plenty of advantages associated with the use of plantation window blinds. Some of those benefits are as follows. These blinds offer a significant degree of privacy to the occupants of the home. Completely drawn out, the passersby will never be able to peep through the blinds to get a glimpse of what is happening inside. The window blinds offer a great deal of control over the level of sunlight that you enjoy. During the morning, you can leave them open to let the gentle sun rays enter the room. Shut them during the noon time for restricting the sun rays to enter the cabinet. The ability to control the sunlight also allows you to reduce your heating and cooling bills. After all, you can simply use the window blinds to control the sunlight and heat from entering. The blinds can act as heat barriers when drawn out, reducing the need for turning on the heater. These blinds can be crafted as per the window. As a result, a perfect fit can be achieved irrespective of the type of the window. From arched windows to circular windows, you can get custom blinds for it. After buying these window blinds for your home, it will be a good idea to hire a professional handyman. They ensure that the blinds are installed properly and keep the appealing element intact.